Description: The pericope narrating the testing of Abraham (Genesis 22:1-19) is considered one of the most famous narratives from the Old Testament. It has been given a lively reception in theology, literature and the arts. It therefore contributes significantly to the image of God in the Old Testament. But what is this image of God? Does the reader encounter a cruel and dark God who demands nothing but obedience? Is Genesis 22 proof of the fatality of Christian faith? Or is this God even a different God to the Christian one? In this study, Heinz-Dieter Neef aims to clarify the image of God in Genesis 22 by reading the pericope both separately and in the context of the Abraham narrative in Genesis 12-25. These are the two cornerstones of its correct interpretation. 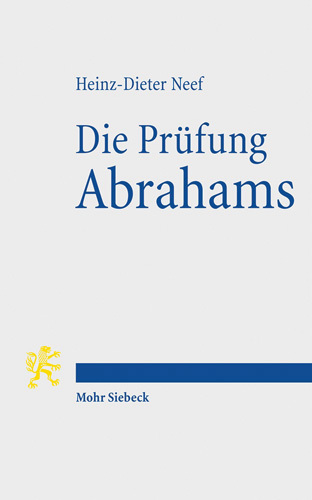 Citation: Thomas Hieke, review of Heinz-Dieter Neef, Die Pr�fung Abrahams: Eine exegetisch-theologische Studie zu Gen 22,1-19, Review of Biblical Literature [http://www.bookreviews.org] (2015).